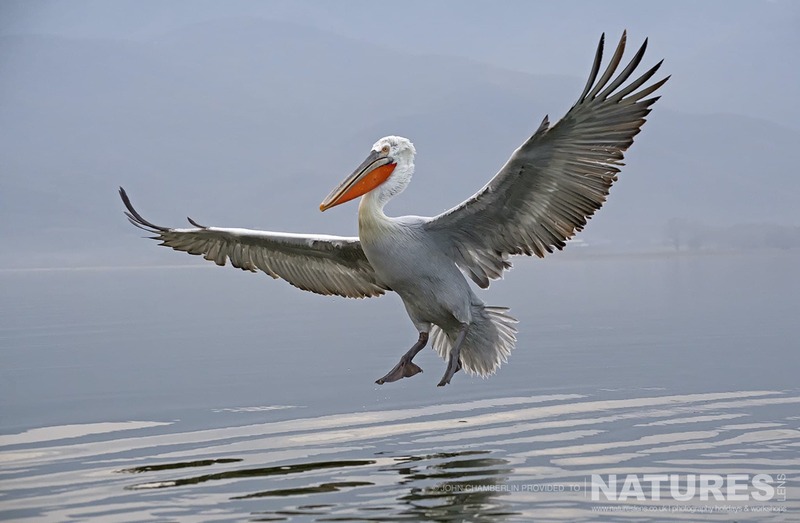 John wanted to spend more time photographing the Dalmatian Pelican, so he booked onto two consecutive trips. During his time in Lake Kerkini, he was blessed with fabulous lighting conditions and perfected his reflection shots. I love how you can see the colour of the sky in the water in this reflection shot. The pelicans can come quite close to the boat; therefore no big prime lenses needed on the vessels! There were lots of opportunities to perfect flight shots as the pelicans glided in to feed. 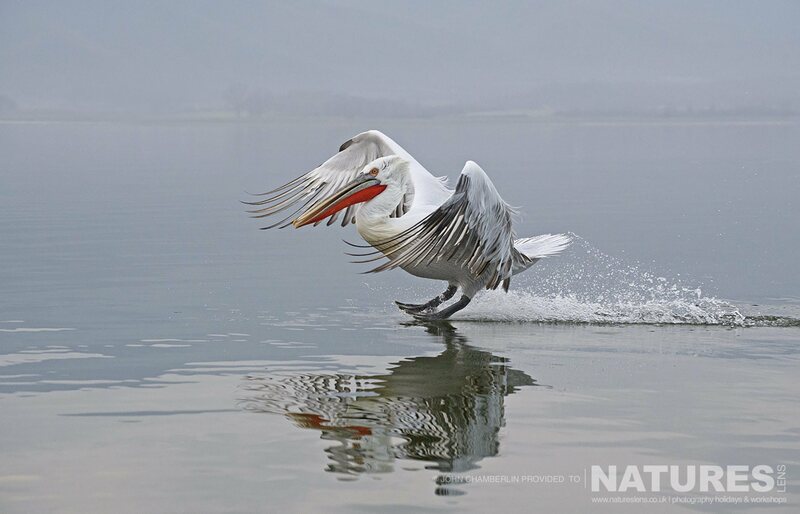 The Dalmatian Pelican is a great subject to practice flight shots due to their size. It also helps that they aren’t particularly fast, so you don’t need a f/2.8 lens to catch them in flight. As you can see, our Dalmatian Pelican tour is one of those trips where you can use a wide range of lenses. The picturesque mountain backdrop makes this image for me as it’s always nice to see wildlife in their environment. Quick tip: for the boat trips, handheld telephoto, and wide angle lenses are best. Something like the 100-400mm is excellent for flexibility and versatility. Many thanks to John for joining us and for allowing us to share some of his images. We hope to see you again! 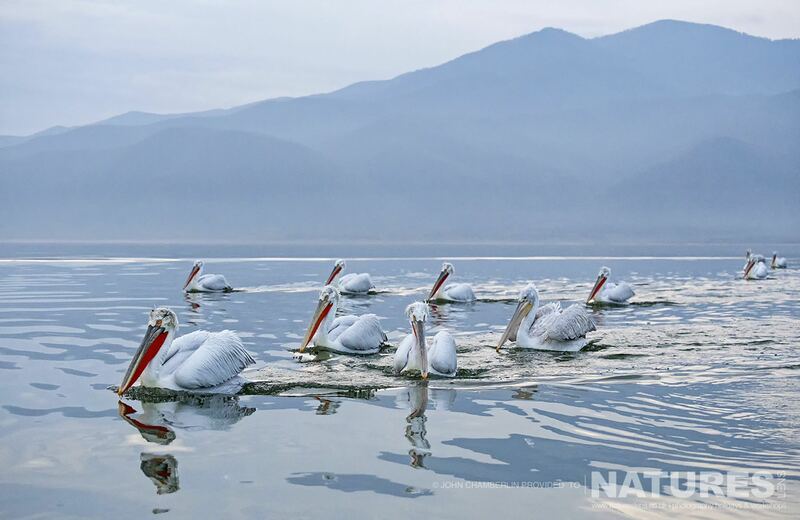 To photograph the charismatic Dalmatian Pelicans of Lake Kerkini yourself, join Sean Weekly, one of the members of the NaturesLens guiding team, in Kerkini, Greece during January 2019 for a trip lasting five nights. This photography holiday will offer you the opportunity to capture images of the Dalmatian pelican. 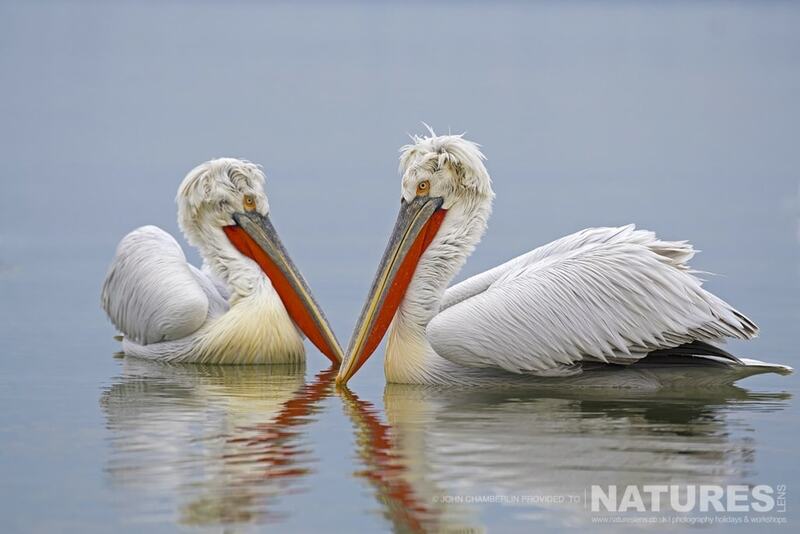 The NaturesLens Dalmatian Pelicans Photography Holiday is provided on a full board, non-shared room basis, & costs £1199 per participant. 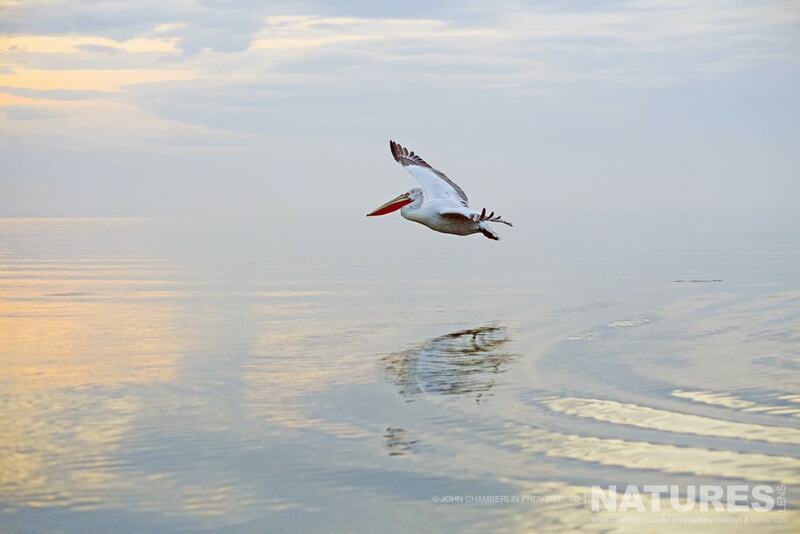 This entry was posted in client images and tagged dalmatian pelican, greece, kerkini, thessaloniki, winter. 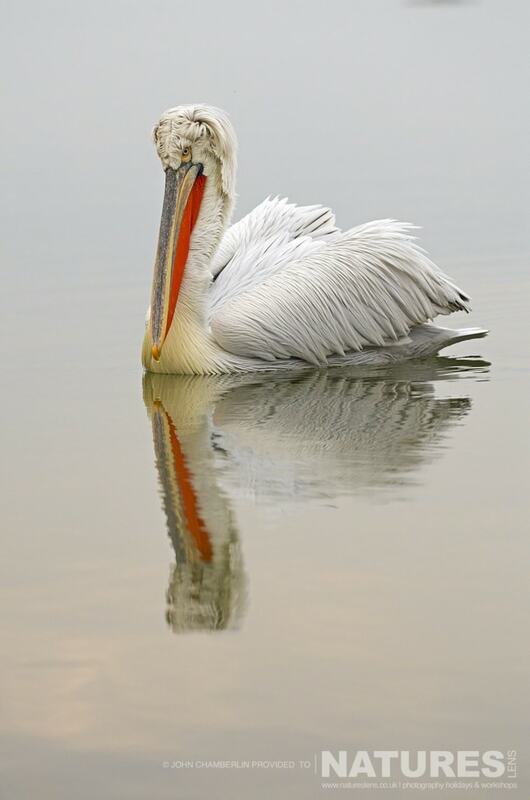 Whatever your query regarding our photography holiday, Dalmatian Pelican Images from John Chamberlin, please fill out your details below & we will get back to you.